Behavioral Interventions--For Kids! : (Another) Good Read! So, there I was, my client was eating his lunch and I was scanning the shelves at the library. Then is happened. I saw this book and it was a gem! Its about self control, how everyone has little 'monsters' inside them that want to make them do the wrong thing--BUT! 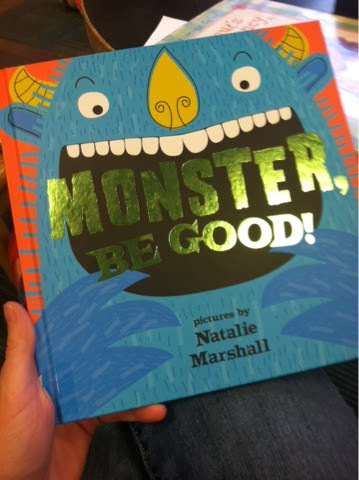 We have the control to tell that monster: "Be Good!"